Deluxe Dinosaur sleeping slumber bag. The beautiful colors and charming design, with removable soft plush toys. 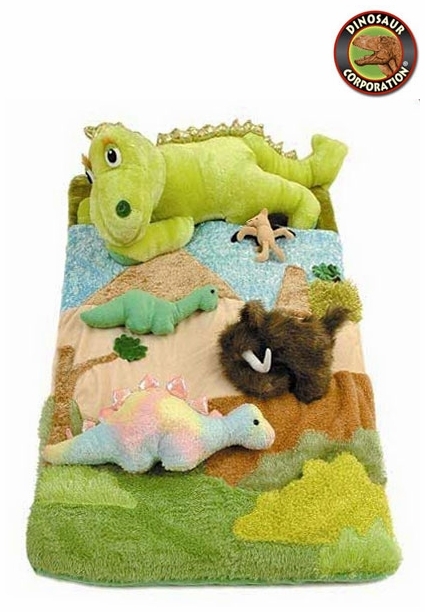 Kids will enjoy this dinosaur sleeping bag. Such a prehistoric adventure surrounding by Jurassic World. The plush/polyester fabric makes it so soft and cuddly, your dinosaur lover will beg to rest or sleep in this sleeping bag.